We planned this Outback Vacation: Ultimate Australia Cultural Experience for 2 sisters who had visited Sydney and the major Australian cities, and now wanted to get a feel for the local cultures. This journey took them to iconic highlights, including Uluru and the Great Barrier Reef, as well as some spectacular areas off the beaten track. Their Outback Vacation began in Uluru, the spiritual center of the outback. Uluru/Ayers Rock dominates the desert landscape and changes colors with the shifting light. They were able to view the monolith coming to life at sunrise while listening to fascinating creation stories. In the evening, they took a leisurely camel ride to the Field of Light installation for a delicious dinner under the stars. Next for their Outback Vacation, they traveled to Darwin, the capital of the Northern Territory. They explored the beachside attractions in this unique city with a tropical feel and Asian-inspired culture. Then, they took a small group tour to the stunning Litchfield National Park, with its lush tropical forests, interesting rock formations, and iconic waterfalls. Their indigenous guide shared expert knowledge of the region’s landscape, wildlife, culture, and heritage, and they dined on barramundi, kangaroo, and crocodile. For the last leg of their Outback Vacation, they ventured to Port Douglas in tropical Queensland. They spent 4 nights at Thala Beach Nature Reserve, a unique, luxurious eco-retreat with a truly Australian feel. Thala is located in a unique area where the ancient Daintree Rainforest meets the Great Barrier Reef. They stayed in a lofted suite overlooking the canopy of the 145-acre nature reserve, and had expert naturalists to guide them through the environment and share their enthusiasm for conservation. They also decided to add a special helicopter excursion over the reef to take in awe-inspiring view from above. Then, their Outback Vacation: Ultimate Australia Cultural Experience came to an end. They were transferred to the airport to board their flight to Brisbane and begin their onward journey home. Welcome to Uluru! Discover the spiritual heart of the Australian Outback, and its centerpiece: Uluru (Ayers Rock), which dominates the desert landscape. On arrival into Uluru, you will be met by your driver for a shared transfer to a luxury resort. Take a stroll through the native gardens on your own or with a guide, or perhaps take a shuttle to the Red Ochre spa to recharge after your journey. Rise early today to witness Uluru magically shift colors as the sun rises and the desert comes alive. Your guide from SEIT Outback Australia will captivate you with the creation stories of Liru (poisonous snake) and Kuniya (python). After breakfast, visit the magnificent Mutitjulu Waterhole and then drive around the base of the Uluru before returning to the resort. This evening, experience one of the best ways to explore the great Central Australian desert: from the back of a camel! Meander for one hour through the rich red sand dunes on your friendly camel and watch the awe-inspiring backdrop of Uluru and Kata Tjuta change color as the sun sets. Arrive at the stunning Field of Light desert installation, where you’ll be handed a glass of sparkling wine and treated to a delicious bush tucker-inspired dinner underneath a canopy of stars. Enjoy a complimentary shared to the airport and fly to Darwin, capital of the Northern Territory. Settle into your hotel, then venture out to the beach for a delicious outdoor meal. 2 nights a week, you can catch the Mindil Beach Sunset Market to discover craft stalls, performers, and an eclectic mix of food stalls. Today, you will be picked up from your hotel and venture out with a small group to Litchfield National Park, where you’ll find lush woodlands, spectacular waterfalls, sparkling plunge pools, and tall termite mounds. 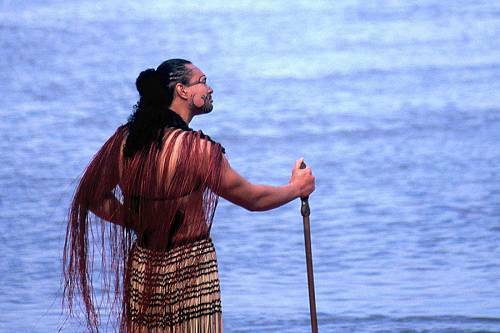 Explore the area with an indigenous guide with countless generations of history in the region. Experience dramatic stone country as it comes alive in the tropical summer, and cool off by swimming at iconic waterfalls. Enjoy a flame-grilled lunch of ocean-caught barramundi, marinated kangaroo, and crocodile back fillet. Make your way to the Darwin airport and fly to Cairns. On arrival into Cairns, enjoy a shared transfer to Thala Beach Nature Reserve, a luxurious, uniquely Australian eco-retreat. Thala is located on 145 acres of pristine landscapes, where the World Heritage-listed Daintree Rainforest meets the Great Barrier Reef. Wander onto a private beach where hours can be spent discovering secluded coves. The next 3 days are yours to spend at your leisure, either relaxing or discovering your magnificent surroundings. Thala’s nature reserve supports many interesting and rare habitats with a constantly changing kaleidoscope of natural wonders, making the experience very rewarding for naturalists and wildlife photographers. You can explore the area with expert guides, see wild wallabies, go sea kayaking, help the reserve’s conservation efforts by planting native trees, and more. 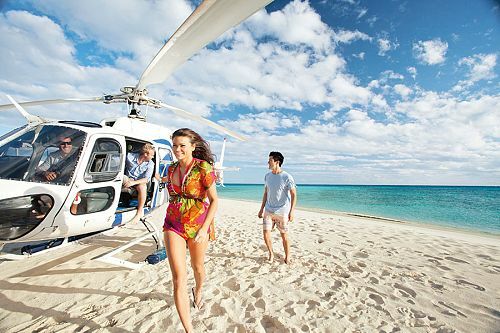 You may also choose to add some special excursions to explore the Great Barrier Reef from above and below. 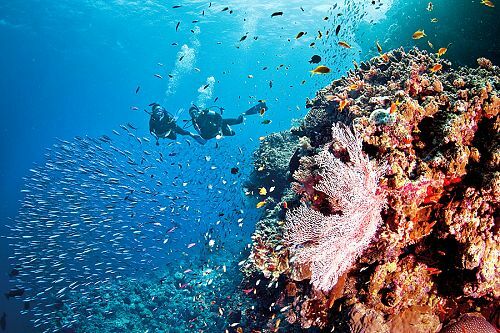 Snorkel or dive in one of the world’s most spectacular natural wonders, or take in the awe-inspiring vastness of the reef from a helicopter or hot air balloon. You can also discover the ancient Daintree Rainforest on a day tour with an Aboriginal guide, where you’ll swim in a secluded spot, try your hand at spear fishing, and enjoy a meal of freshly caught crab. Today, your inspiring Australian journey comes to an end. Enjoy a shared transfer to the Cairns airport, where you’ll catch your flight to Brisbane, then onward to home.